All pillows on this page come with printed bags and are recommend for hotel use or retail sales. 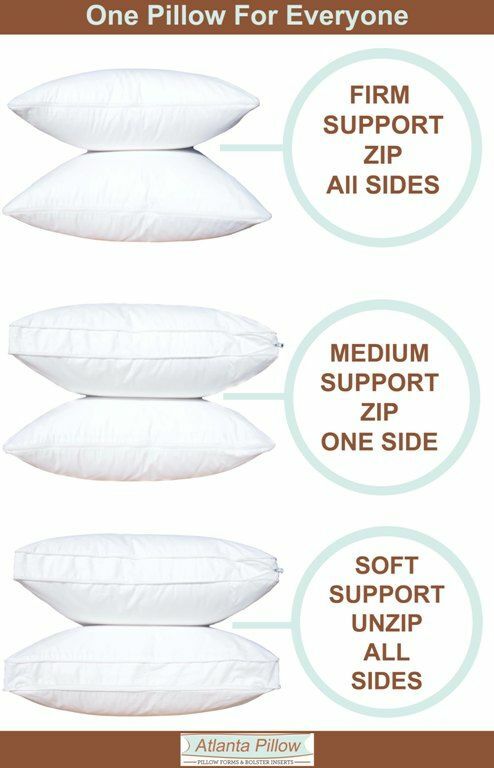 Can you never seem to get your pillow adjusted correctly or maybe your visiting in laws are picky about their pillows? Now there is 1 pillow that is perfect for everyone, comfortzip. Easiest To Adjust Pillowflex's 4 way adjustable firmness pillow can be made softer or firmer simply by adjusting the comforzip zipper along the edges of the pillow. Want a firmer pillow? Simply zip the cover shut. Want a softer pillow? 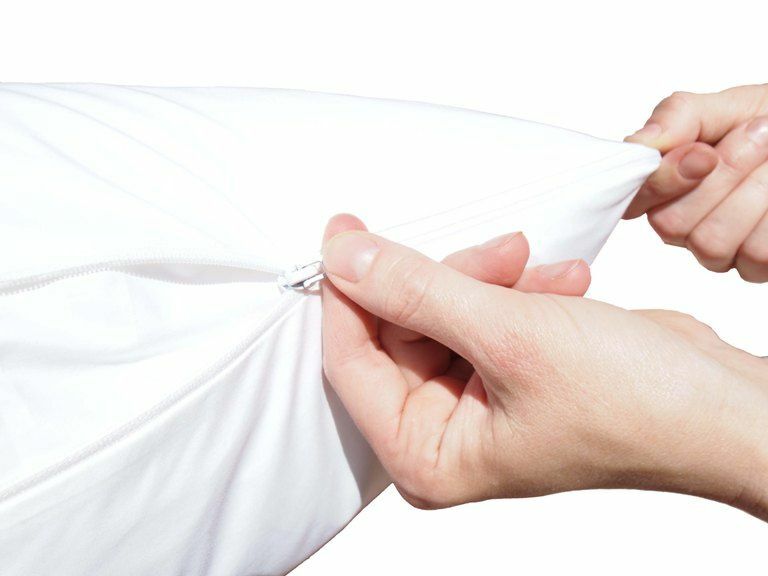 Unzip the cover to open the edge of the pillow and make it soft. 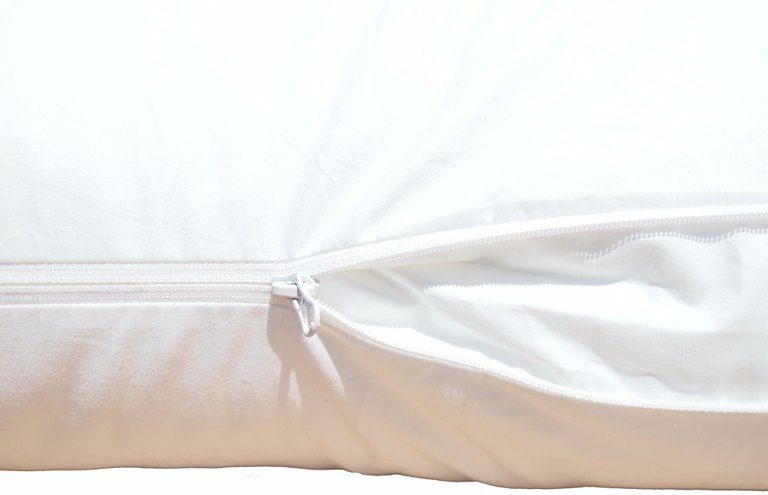 The 100% cotton adjustable shell has a zipper that goes a full 360 degrees around the inner pillow allowing you to make micro adjustments as needed. Other adjustable pillows require you to add or remove small flat pillows from the cover. Have you ever tried doing that at 3 o'clock in the morning? NO THANK YOU. Great for hotels or home use. 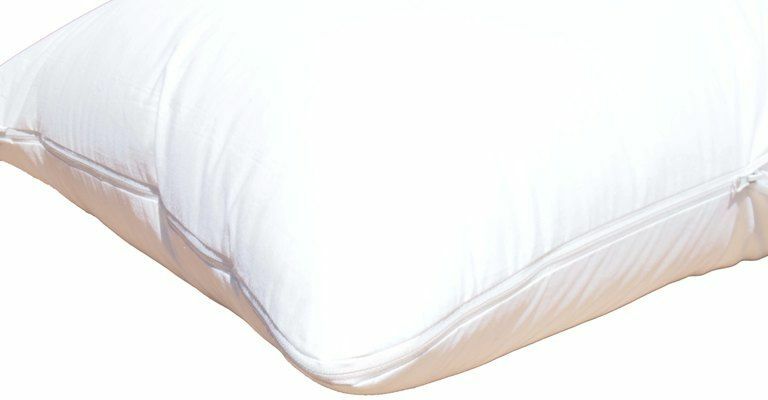 The removable inner pillow is made in the USA and provides the ultimate in plush softness. The pillow is filled with 100% polyester micro fiber to give the pillow the same touch and feel as traditional down. Micro fiber is also know as down alternative or synthetic down. Never before has it been possible to get such a soft pillow that can also be made firm with 1 simple adjustment. The pillow is also hypoallergenic and cruelty free. Still very soft but noticeably lighter and firmer filling at a more affordable price. Highly recommended. Made in the USA.